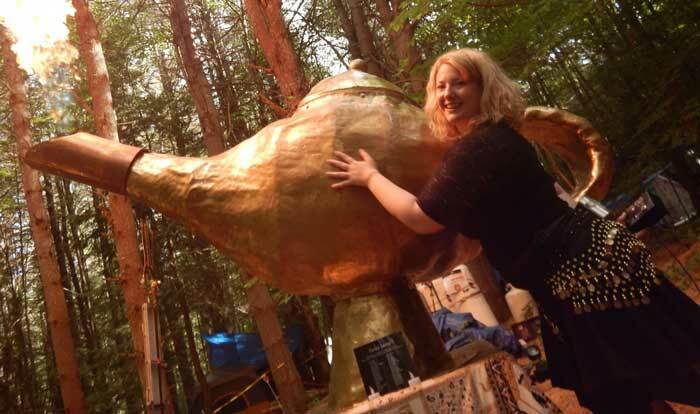 Have you ever wished you could rub a magic lamp and make all of your dreams come true? The fantasy has been a childhood staple for most people, far-fetched as it may seem. But what if you really could wish on a magic lamp? Phaneuf’s very own Stephanie Knotts hopes to accomplish just that, sort of. According to the Genie Lamp’s website, The Genie Lamp project aims to create, “an interactive sculpture that will grant your wishes.” As you may have assumed, the idea stems from the childhood story of Aladdin, where a homeless beggar discovers a magical lamp containing a joke-cracking genie with a blue hue and a big personality. 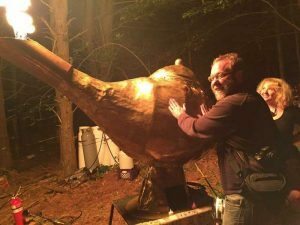 It’s unclear whether the lamp project will stick to the Disney version of the story. But one thing is certain – the lamp will dazzle the senses. Once complete, the giant, interactive sculpture will travel to various locations, including Somerville Open Studios, Figment Boston, The Firefly Festival in Vermont, and finally, Burning Man. In order to raise the $3,500 necessary to complete the project, Knotts and the project committee are accepting donations and offering incentives. If you can donate $1 or $1,000, there are incentives for donating. Check out the project website for details and updates.